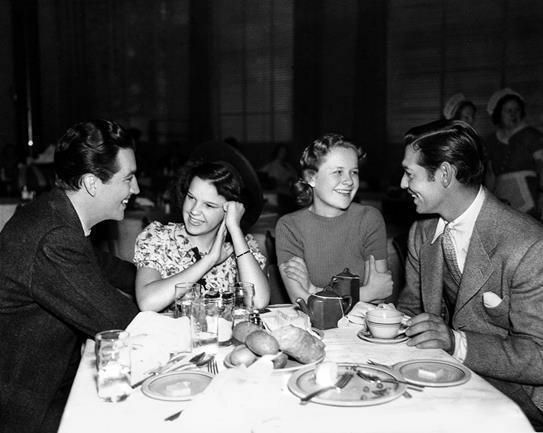 Robert Taylor, Judy Garland, Betty Jaynes, Clark Gable in mid-1937. Clipping provided by Kim Lundgreen. Thanks, Kim! May 16, 1937: An article in the Chicago Tribune about Chicago’s own 15-year-old Betty Jaynes mentions how she joins Judy in vocal training with Roger Edens as well as being a part of the “Social Living Club” of which Judy was the president! 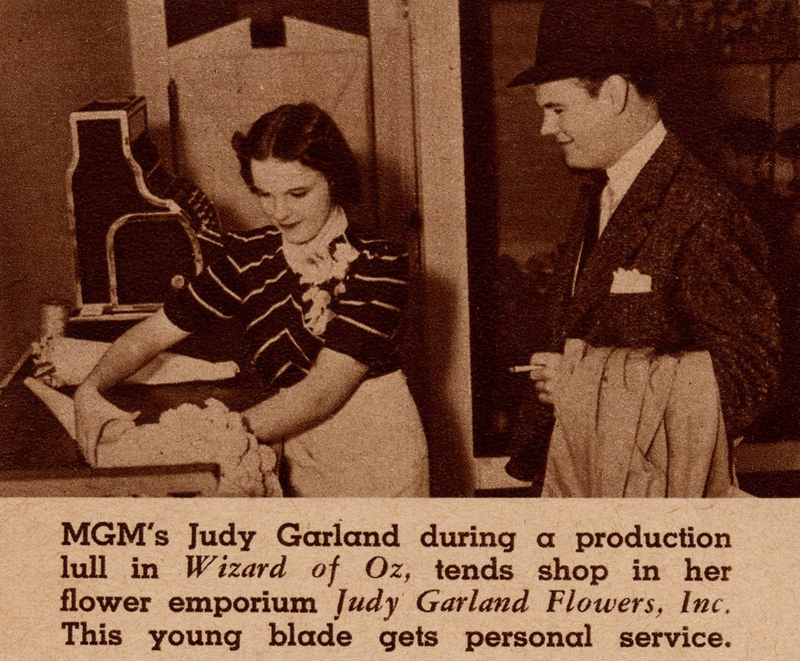 No rest for the busy Judy Garland, at least according to the always creative MGM Publicity Department! In addition to their regular school work the six students recently formed the world’s most exclusive high school club, which they call the Social Living club. Judy Garland is president. John Arlington [John Arlington Neutzel, 11 year old ex-St. Louis choir boy who was recommended to the studio by Mary Garden], is secretary. The “club” holds debates every Friday, discusses current events every Wednesday, and sings songs and write poetry on Mondays. 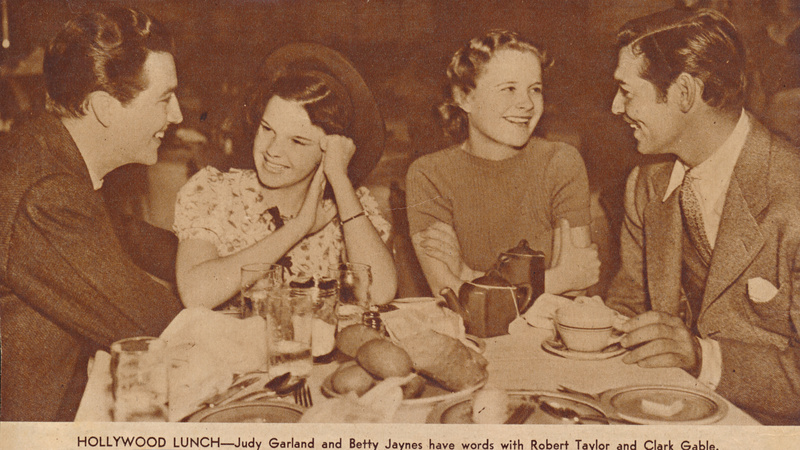 Betty Jaynes’ school is over at noon, but after lunch she and Judy spend an hour with Roger Edens, the M-G-M singing coach. Edens has arranged several popular and classical songs which the two girls sing together. 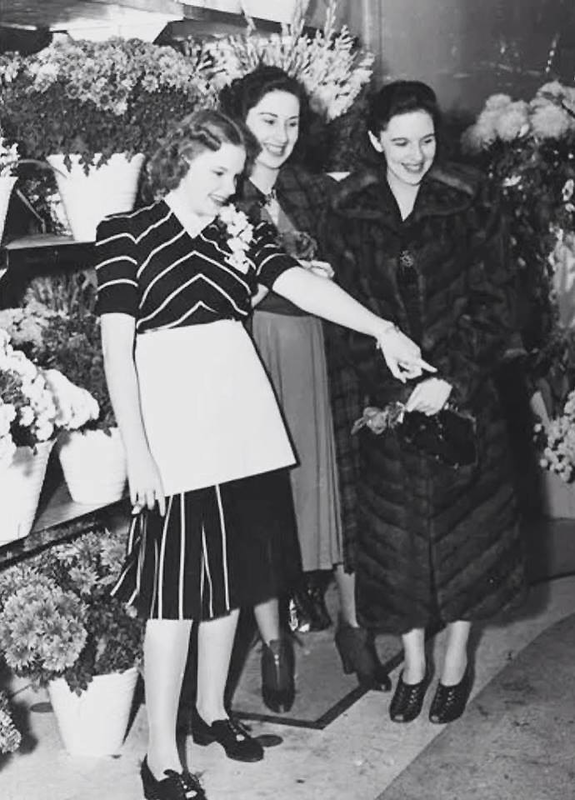 Recently at a party, at Producer Louis B. Mayer’s home, Norma Shearer was so impressed with their duets that she presented Judy and Betty with monogrammed makeup kits. 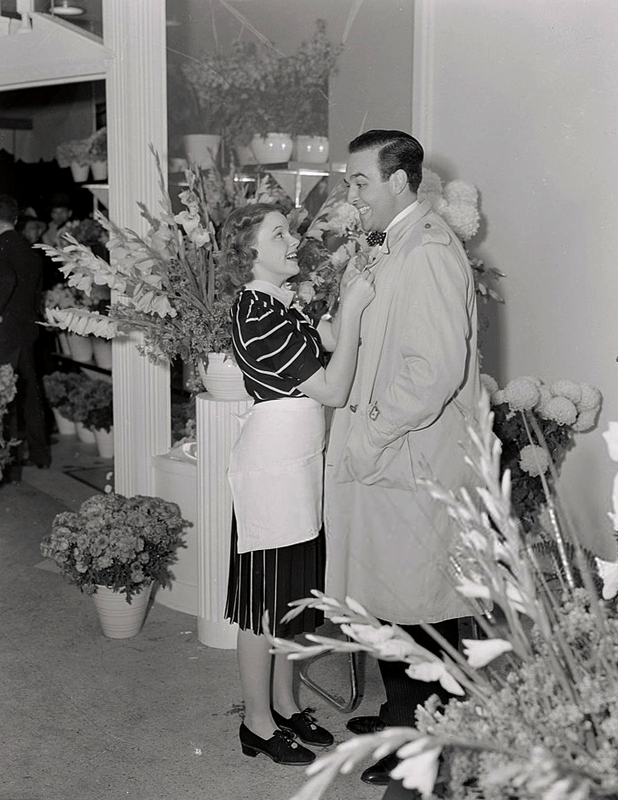 On this day, Judy was in the middle of production on Broadway Melody of 1938 which was her MGM feature film debut. 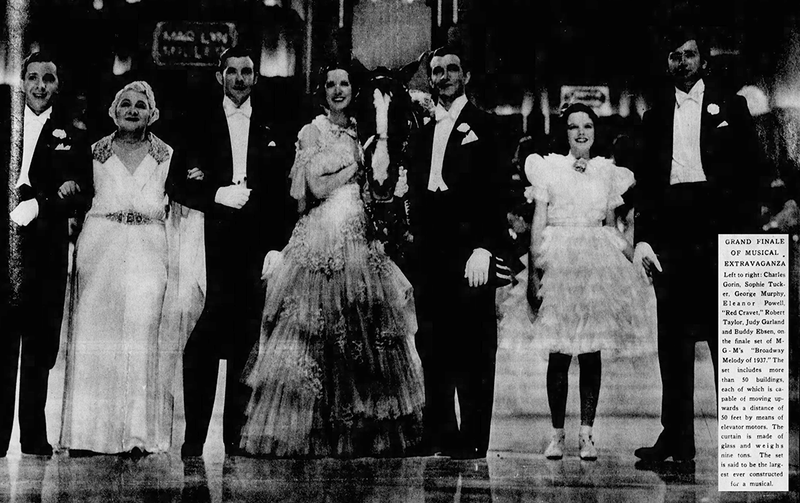 At this point, the film was still called Broadway Melody of 1937, at least by the papers which ran this recent photo (above) taken during the filming of the finale sequence, sent out by MGM to promote the lavish production. Betty Jaynes is still alive. She’s 97 and has been out of the spotlight since the early 1950s. 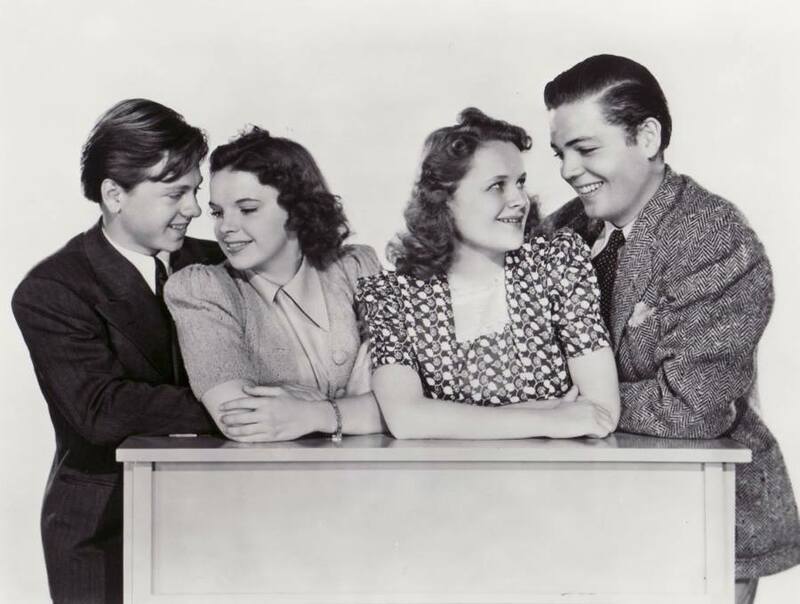 May 16, 1938: Judy and her co-stars in Love Finds Andy Hardy posed for extensive promotional photos used to promote the film and for poster/ad artwork. This was Judy’s first of three appearances in the “Hardy” series. This installment is generally considered to be the quintessential “Hardy” film. 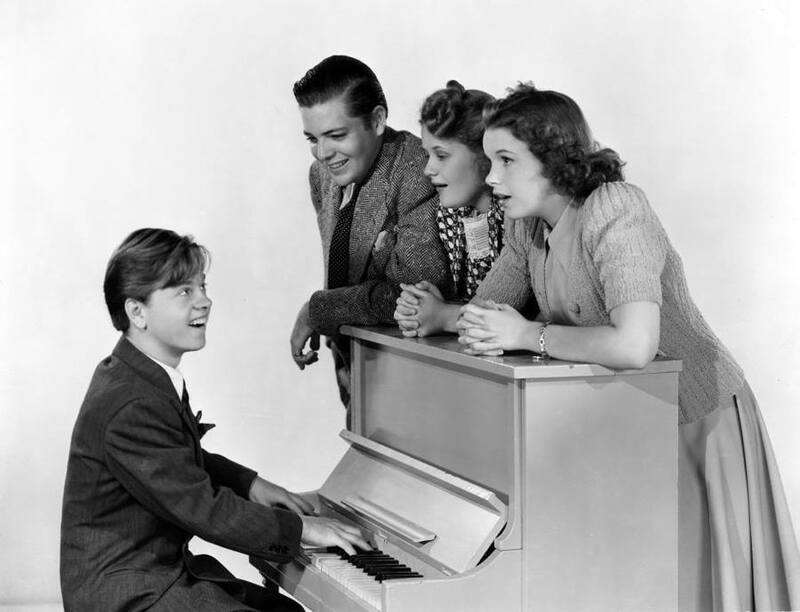 Love Finds Andy Hardy also starred Mickey Rooney (of course! ), Ann Rutherford, Lana Turner (her only appearance in the series), Lewis Stone, Fay Holden, Celia Parker, and Marie Blake. 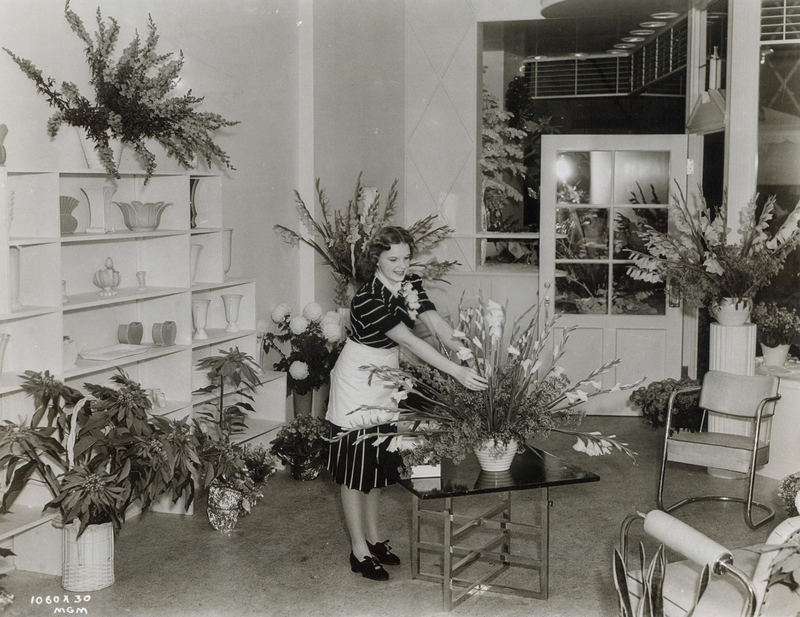 Check out The Judy Room’s Filmography Pages on the Hardy series here. 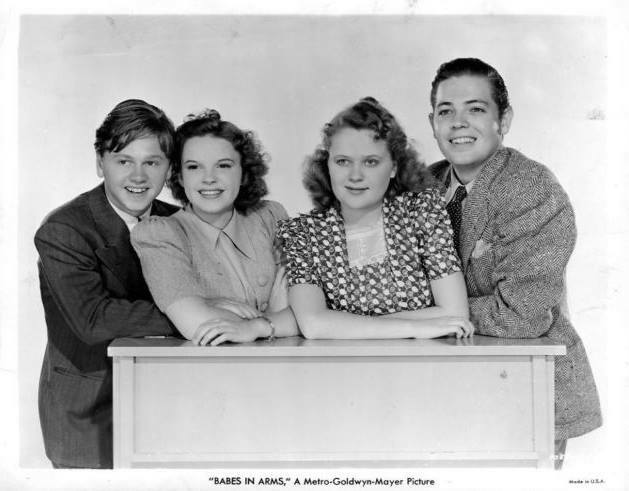 Featured with Judy and Mickey Rooney in the photos above are their co-stars, Betty Jaynes and Douglas McPhail. 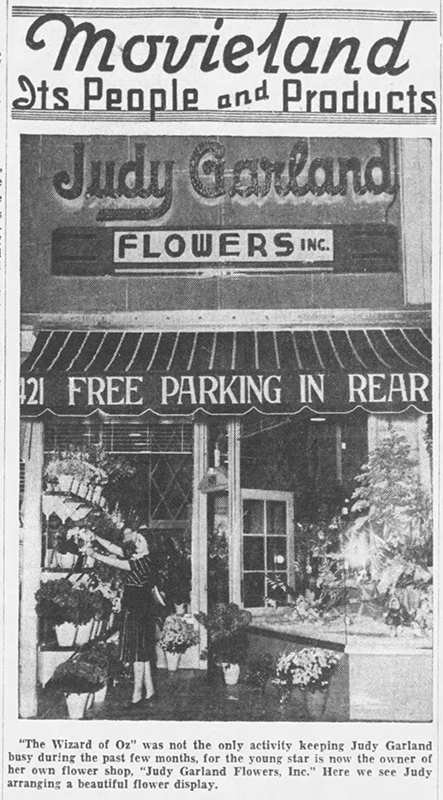 Also on May 16, 1939: The ad above appeared in the papers throughout most of 1939 and into early 1940, promoting Judy and her alleged business, “Judy Garland Flowers,” supposedly opened by Judy and her mom, Ethel. The photos were all posed and shot by an MGM studio photographer, possibly on January 22, 1939. 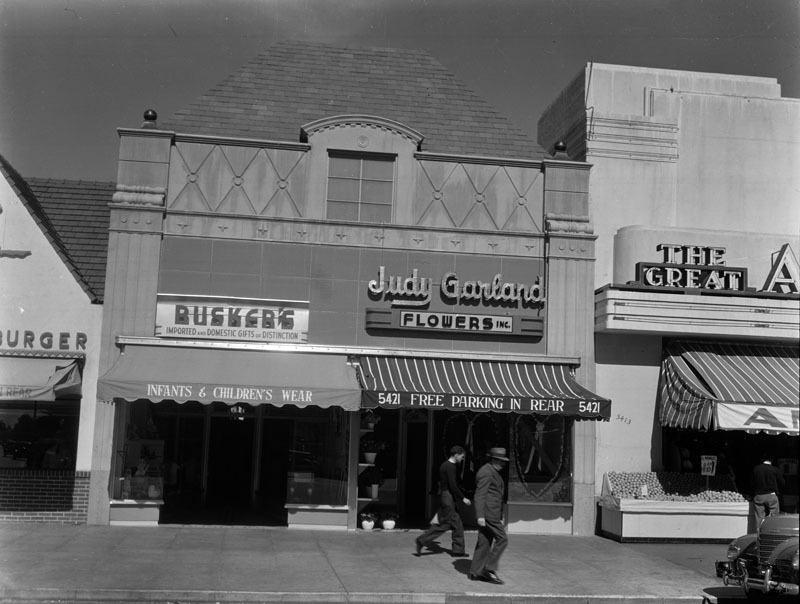 Obviously, Judy was too busy at the studio to spend any time arranging flowers at the shop’s location on 5421 Wilshire Blvd. in Los Angeles. The location was eventually turned into a bakery. The building was torn down in the 1980s and a Staples store now occupies the space. In the photos above, Judy is seen with director George Sidney, an unidentified “customer,” and her two sisters. 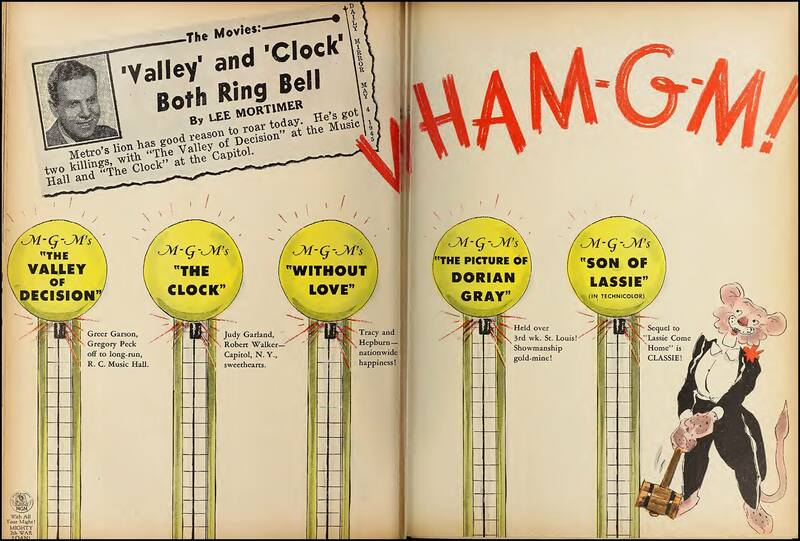 May 16, 1945: MGM trade ad for The Clock. 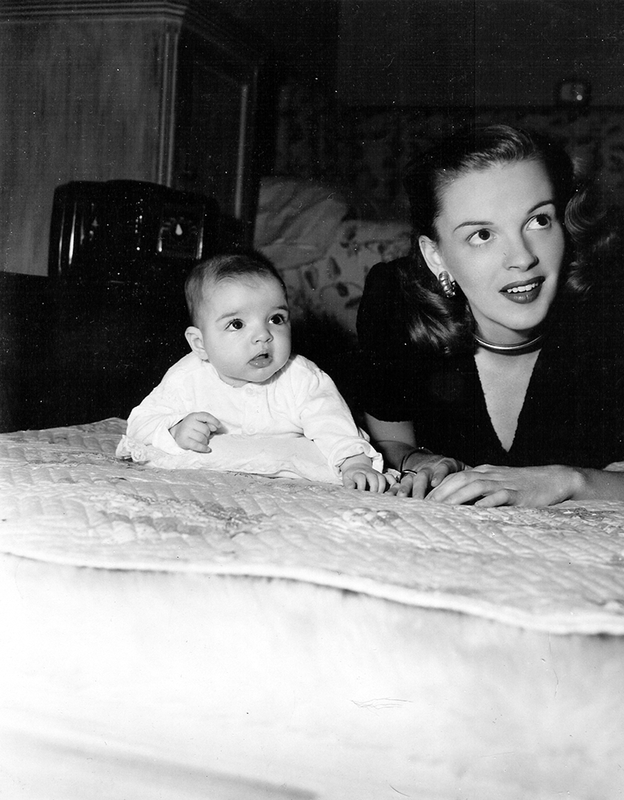 May 16, 1946: Judy was still on maternity leave after giving birth to daughter Liza Minnelli on March 12, 1946, when MGM sent out the first portraits of Judy, Vincente Minnelli, and little Liza, jokingly noting that Judy while Judy was a big star at the MGM studios, she was now “playing second fiddle” at home. 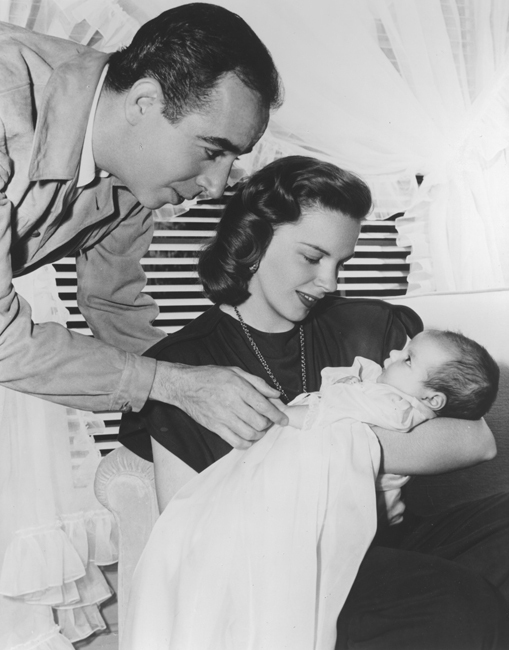 Although Judy was on maternity leave for over a year (November 8, 1945, to December 2, 1946) she was still very much in the movie-going public’s consciousness thanks to two films playing in theaters at the time, The Harvey Girls and Ziegfeld Follies of 1946, and Till The Clouds Roll By. She also appeared on radio and cut some singles for Decca Records. 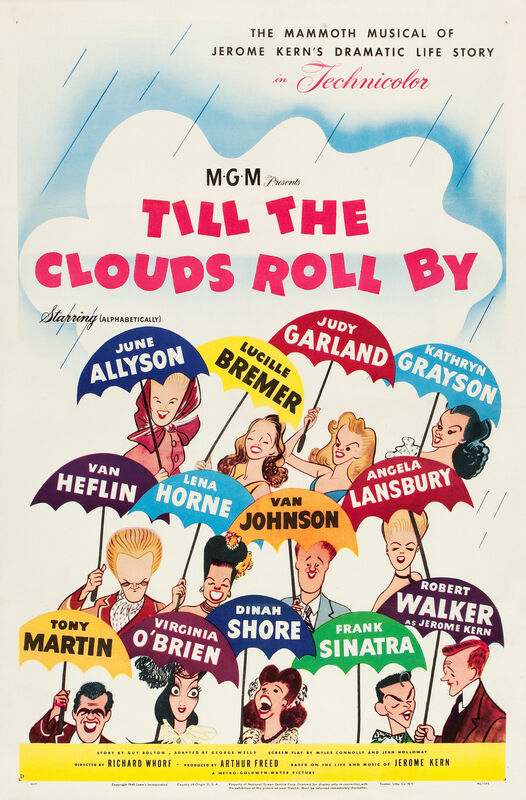 Check out The Judy Room’s Filmography pages on Till The Clouds Roll By here. 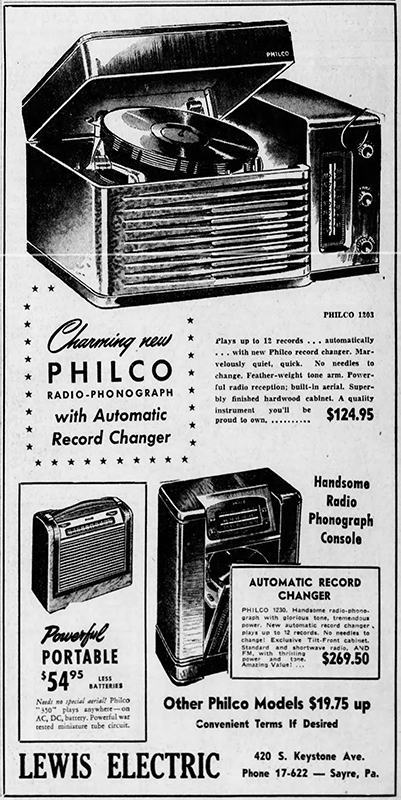 May 16, 1947: In stores, while the film was still playing in theaters, the very first MGM Records soundtrack album, “Till The Clouds Roll By.” Note the ad for the Philco Radio-Phonograph published on the same date. I bet the records sounded great! 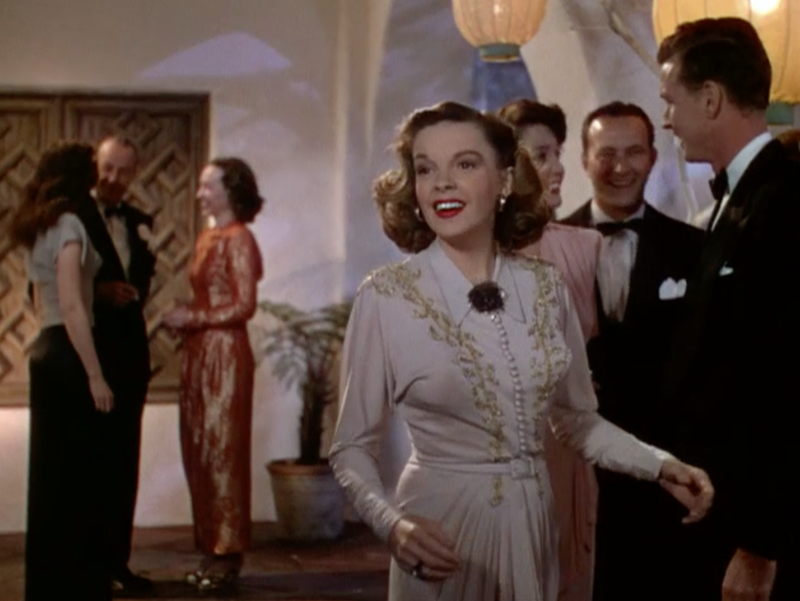 Check out The Judy Garland Online Discography’s pages devoted to the Till The Clouds Roll By soundtrack here. 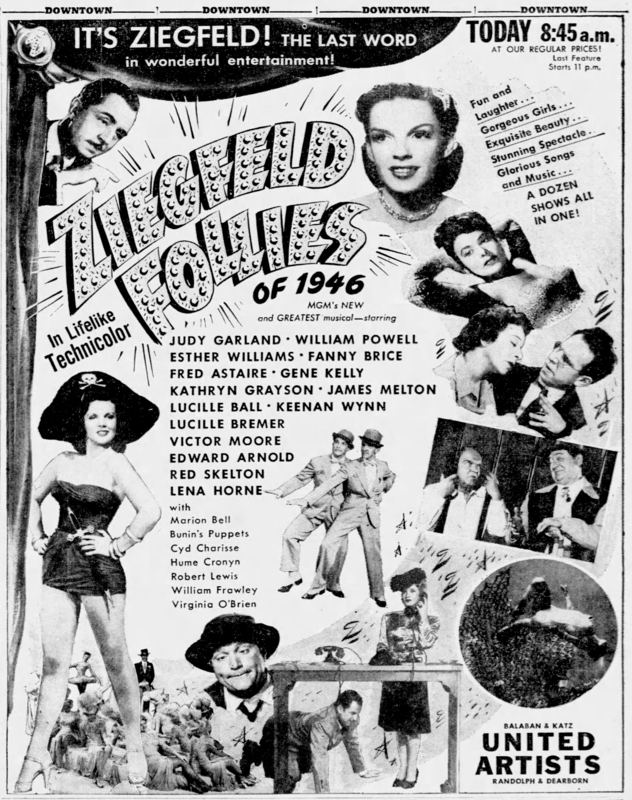 May 16, 1948: Judy plays Judy. 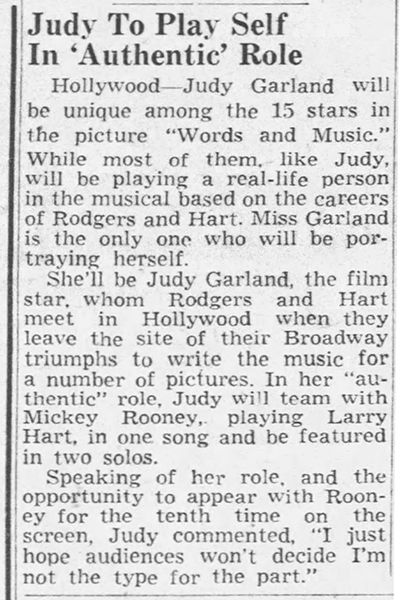 The papers noted that in the upcoming production of Words And Music Judy was the only star playing herself. She quipped (which is probably true as it’s definitely something she would jokingly say), “I just hope audiences won’t decide I’m not the type for the part.” Judy began work on the film on May 20th. May 16, 1951: Louella Parsons reported on a proposed sequel to 1944’s Meet Me In St. Louis titled Meet Me In New York. The sequel was the idea of Barron Poland, whom Judy had dated in the late 30s and early 40s. 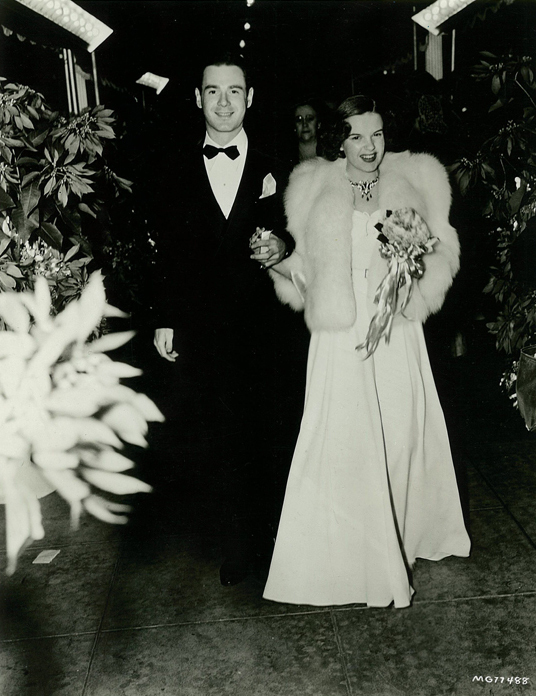 The photo above shows Judy with Poland at the Hollywood premiere of Gone With The Wind (1939). Check out The Judy Room’s extensive pages on all of “The Films That Got Away” here, which featured information about films Judy was allegedly either going play, signed to play, or rumored to be associated with. May 16, 1964: Judy’s second concert at the Sydney Stadium in Sydney, Australia, was an even bigger success than her premiere night at the venue on May 13th. A recording made from the audience survives, see links below. After the concert, a promoter insulted Judy by calling her a “freak” singer because of what she had done to her audience. He meant it as a compliment, but Judy slapped his face after asking him to repeat what he had said, and everything began to unravel. Listen to “That’s Entertainment!” here. Download the surviving recordings from this night here (zip file). 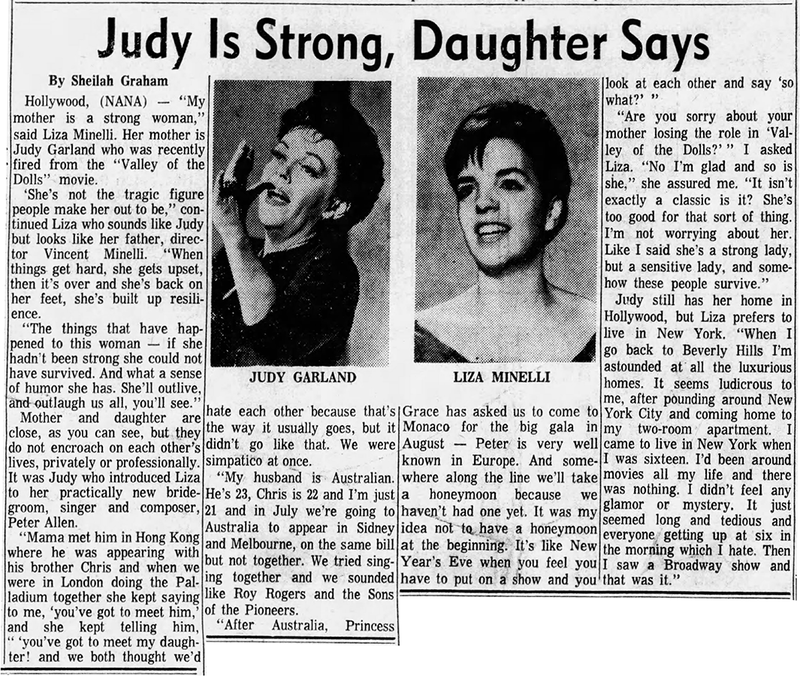 May 16, 1967: Sheilah Graham’s column featured an interview with Judy’s daughter, Liza Minnelli. 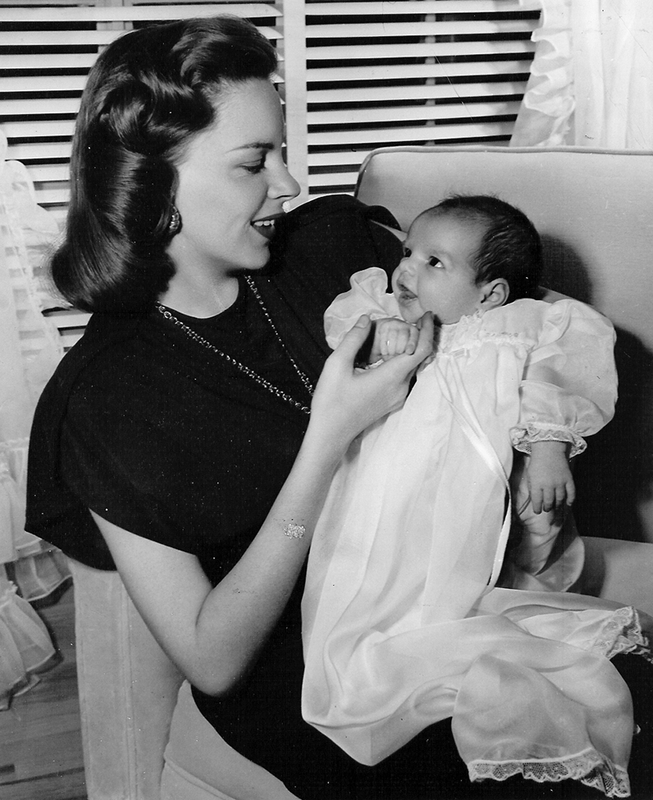 “My mother is a strong woman,” said Liza Minelli [sic]. 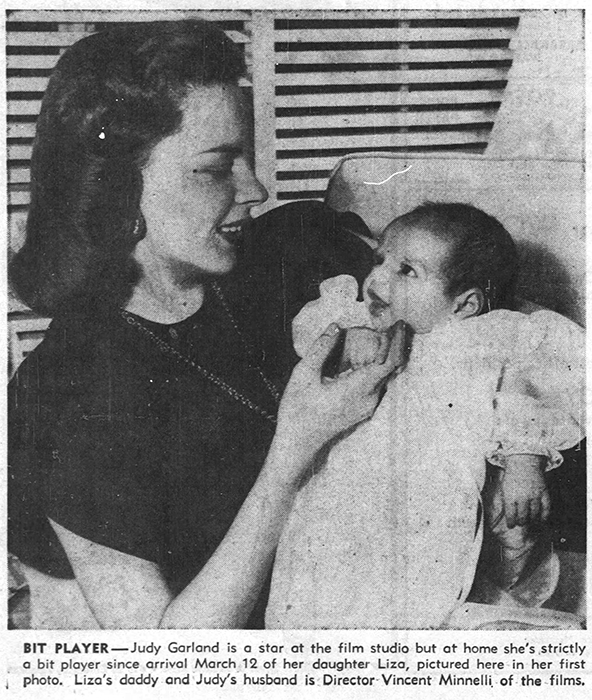 Her mother is Judy Garland who was recently fired from the “Valley of the Colls” movie. 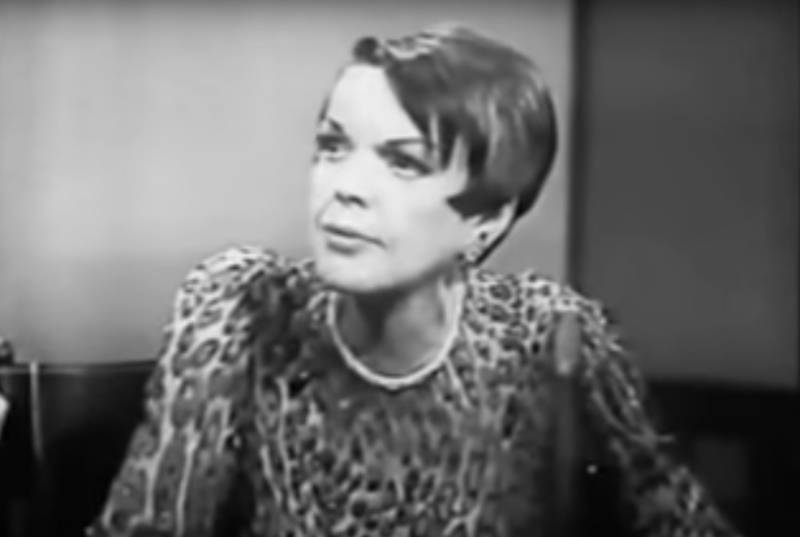 Also on May 16, 1967: In his column, “After Last Night,” Will Jones reported on Judy’s recent appearance on Jack Paar’s TV show. The show was taped on May 7th and aired on May 15th. Watch Judy’s segment here. Judy Garland, the real Judy Garland, the wan but sharp-minded little girl who observes the mixed-up world around her and then reconstructs it in her own special way, turned up with Jack Paar on TV Sunday night. There’s Judy the crying performer, and there’s Judy them mixed-up kid who misses performances and blows movie contracts. There’s also Judy the wit, the one who sees the world very clearly, if from her own peculiarly off-center and refreshing point of view. Paar chatted with her about the old days at MGM, where she and Mickey Rooney and Lana Turner were attending the same studio school, and she was making “The Wizard of Oz.” Paar, who obviously had heard the same sort of observation before, asked her about the Munchkins in the Oz movie. “They were little drunks,” blurted Miss Garland. She told about a 40-year-old Munchkin who tried to hustle her for a date, and mentioned a Culver City hotel where they all stayed during the making of the movie. “They’d get smashed every night, and they’d pick ’em up in butterfly nets,” said Miss Garland. In other portions of the interview, which was certainly not calculated to win friends and influence people, an activity of which her attitude clearly indicated she’s had quite enough, she characterized Deanna Durbin’s principal talent as consisting of one very large eyebrow. “A caterpillar,” suggested Miss Garland. Paar’s own view of Hollywood, which was fortified with a batch of hilarious and hilariously used film clips from studio archives, was hardly any more reverent. The collection included everything from a sequence of a Jello-busted Jayne Mansfield causing pint-sized Mickey Rooney no end of visual problems as they shared the platform at an awards ceremony (a strip of film that has been making the round of the har-de-har stag circuit for some years) to a seemingly endless collection of shots of Jimmy Cagney hitting people in one fil after another. Less inspired, and hardly fair, but still fun, was a phony press conference with Paar asking the questions of Gov. Ronald Reagan’s answers coming from clips from old Reagan films. Reagan also figured in a brief reel of out-takes, the shots with bloopers in them that never get into the final version of the film, but that are carefully saved for laughs at studio parties.